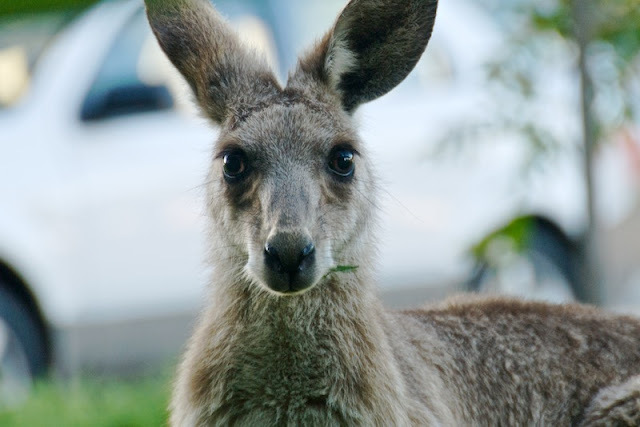 Kangaroos don't run in the main street, but they are quite common in any bushland area or particularly where there's a grassy patch adjoining bush. This one is part of a large mob which inhabits the grounds of the Sunshine Coast University. They are not domesticated, but happily graze within a few metres of human activity. Big eyes on this roo!